AA-33-2297 Dodge Ram SRT10 (2004-2006) K&N Air Filter - High Performance! Been measured to boost engine performance power by 7 Hp. 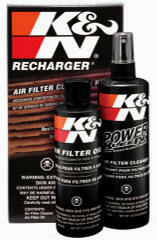 K&N are world famous for their high performance Air Filters. 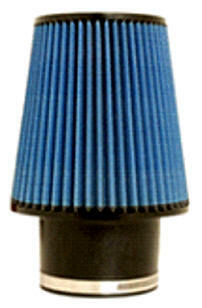 Replacing your standard factory filter with a K&N will increase your air intake and thus give your horsepower a boost! These filters are washable and reusable and are custom designed to fit into your existing factory air box. Their drop-in design means adding performance is simple. Lasts the life of your vehicle. The air filter you will ever need. Item includes one (1) filter as shown. SUPER High Performance - great fuel economy! These are the "top of the line" filters. 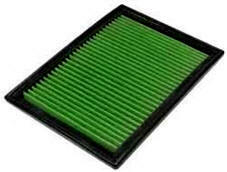 Green Air Filter simply traps more dirt, fits better and has greater airflow than the competition. And that translates to more power, longer engine life and much better fuel economy. The Green Air Filter uses two layers of woven cotton. The first layer boasts a medium knit that traps bigger chunks of engine-choking filth. The second features a super-fine weave that captures particles down to 5 microns. The fabric is deeply pleated to create more dirt-snagging surface area. A stiff, green-toned stainless steel mesh protects the cotton filter medium, so it lasts virtually forever. The special hand-molded rubber base creates an airtight seal with your filter box keeping the muck out. Catches extra fine particles + HP Gain! AA-57-1541 Dodge RAM SRT-10 (2004-2006) High Performance Air Intake System 19+ Horse Power Gain! 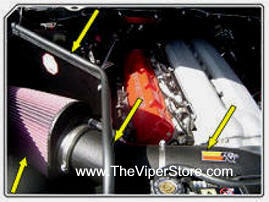 K&N Ram SRT-10 FIPK Cool Air Charger Intake Systems are a dramatic improvement over a K&N O/E replacement filter alone. These intakes use only non-metallic rotationally molded tubes that can reduce intake air temperature and decrease intake sound over a metal tube. 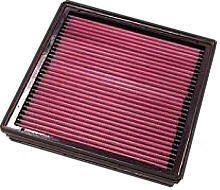 Restriction can exist BETWEEN an air filter and the engine reducing the benefit of a K&N Air Filter. 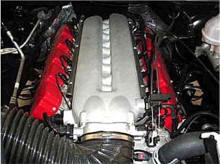 The weakest link in the airflow "chain" robs a vehicle of its natural horsepower. Often that weak point is the factory air path leading to the Engine. K&N Air Intake Kits virtually eliminate air path restriction by replacing the air filter and the entire air path to the engine. The aerodynamically engineered tube drives a massive amount of air into an engine, which translates into POWER! Dyno testing on the K&N Ram SRT-10 FIPK Cool Air Charger Intake Systems show a 19.12 HP gain. 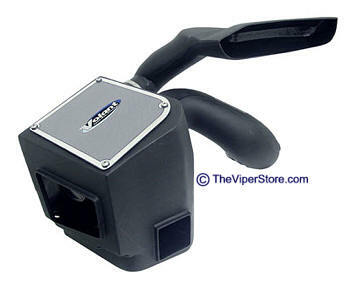 This Volant RAM-Air system is the most powerful air intake component made for the Dodge RAM SRT10 2004-06 V-10 8.3L truck. It produces a bucking 36 Horse Power. It is CARB exempt. This RAM Air System is designed for the track. If you plan to use on the roads and highways we recommend you use a pre-filter see below. 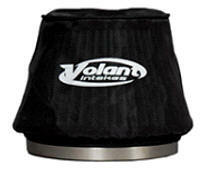 This Volant RAM-Air system is the most powerful air intake component made for the Dodge RAM SRT10 2004-06 V-10 8.3L truck. It produces a bucking 36 Horse Power. It is CARB exempt. This RAM Air System is designed for the track. If you plan to use on the roads and highways we recommend you use a pre-filter. AA-3635255-BBK1776 Dodge RAM SRT-10 (2004-06) 8.3L V10 Performance Throttle Body 12-15 HP Gain! 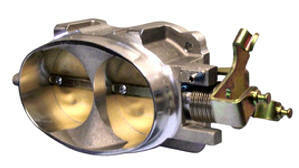 BBK 1776 67mm Twin-Bore Throttle body. Improves airflow by 30-35%.